The state had a moratorium on the administratively approved specialty license plate process. I know this is a long process and our efforts have been thwarted by these moratoriums but the fruits of this effort will benefit pro-life & pro-adoption organizations in Washington for many years to come. 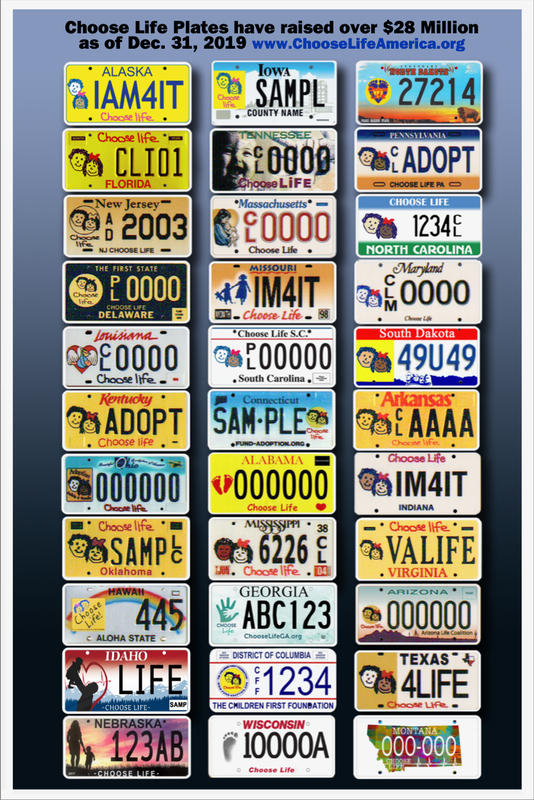 The Choose Life plate has been approved in 30 states as of 1-1-2016 and has raised over $23 million. I feel we need to move forward in faith and confidence that this will become a reality in our state. Our biggest holdup right now is gathering the 3,500 signature needed of Washington vehicle owners who agree to purchase the plate if approved. We could use your help in gathering these. Please contact me if you are willing to help. We need an active team to gather the required signatures to make an application for the Choose Life plate in Washington. If you want to be a part of this historic effort, please contact. Ben Hull, President; Choose Life Washington, Inc.